The 2017 Archbishop’s Annual Appeal has raised more than $9.5 million in gifts and commitments, surpassing its goal of $9.4 million by more than $100,000! 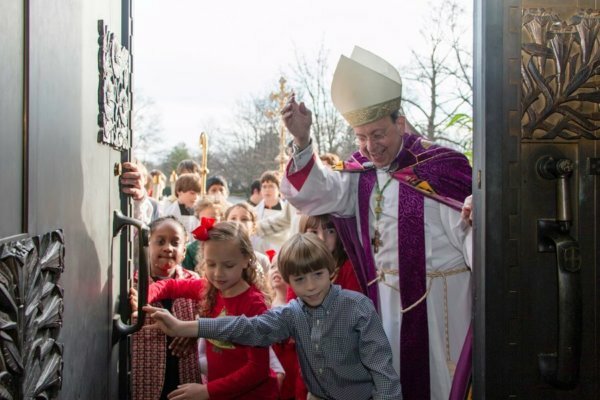 Representing the generous support of more than 31,000 individuals, families and philanthropic organizations, this is a record high for the Archbishop’s Annual Appeal since its inception in 1992. Additionally, thanks to this outpouring of generosity and to the tireless efforts of parish pastors, their staffs, and appeal volunteers, 84 parishes were able to reach and surpass their parish goals. This is a remarkable accomplishment and continues an upward trend started over the past few years. Providing financial support for the daily operation of our archdiocese, its parishes and myriad evangelizing ministries, the Archbishop’s Annual Appeal offers Catholics across our archdiocese an opportunity to join together to advance our evangelizing mission. Tasked with securing and stewarding the financial resources necessary for the archdiocese to successfully carry out its evangelizing mission, ministry, education and outreach, the Department of Development directs, manages and oversees campaigns, appeals and other development initiatives as directed by the Archbishop of Baltimore. The Department of Development also provides professional and technical fundraising support support to parishes, schools, institutions and organizations of the Archdiocese of Baltimore.